In today’s world, blow drying your hair is just one of those inevitable things that you’ll have to do at one point or another. For some of you, blow drying is just another part of your daily routine. Of course, others of you may have honed in on the perfect routine that always lets you to skip this heat tool—at least part of the time. 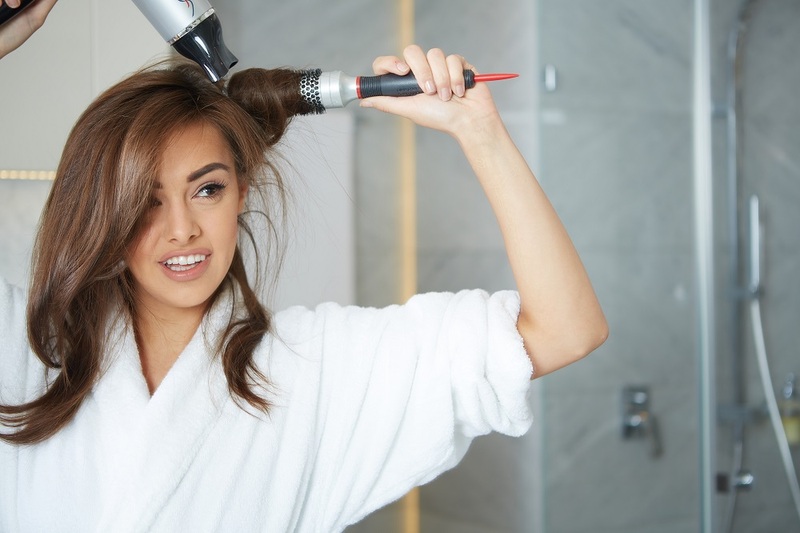 No matter where you fall on this frequency of blow drying spectrum, we can almost guarantee you’re making a few mistakes. Sorry! Surely you know that we wouldn’t call you on your wrongs if we weren’t going to follow up with a few suggestions on how to make some changes. So, go on, read through the tips below to properly, safely, and effectively blow dry your locks! 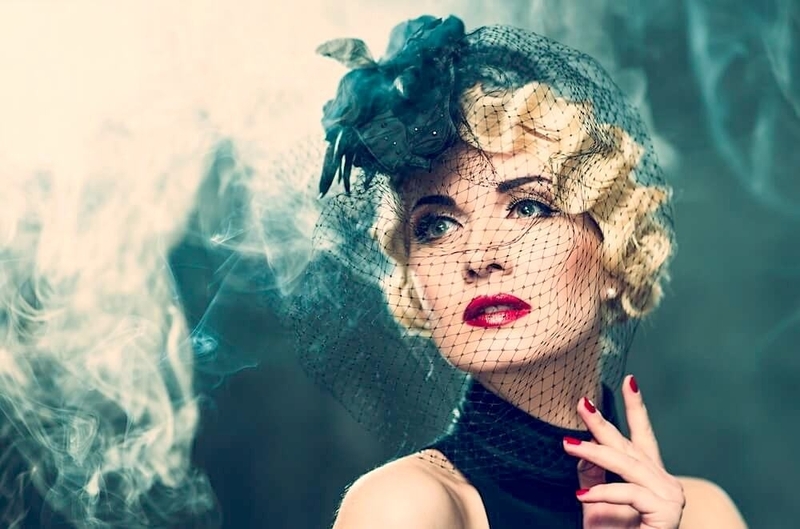 Many women have made a habit of blow drying their hair when it’s dripping wet. If this is you, stop! Your hair is the most vulnerable when it’s wet, so blasting heat on it isn’t the best idea. Instead, allow your hair to towel dry, then use a comb to detangle—by now you’ll notice that the ends of your hair are already drying up. At this point, you have the OK to use your blow dryer. There are so many pre-blow drying products on the market today, it’s your job to determine which is the best for you and how to use it properly. 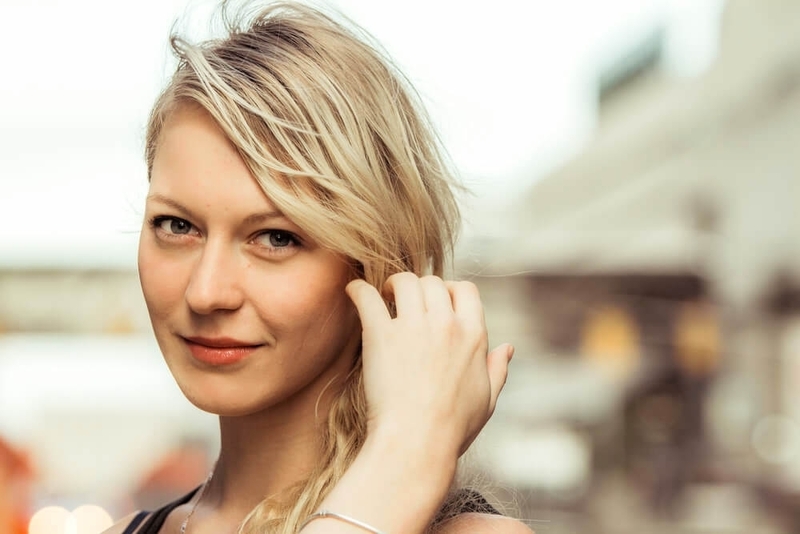 The one product that everyone should be incorporating into their hairstyling regimen is a leave-in conditioner. Leave-ins are formulated specifically to be absorbed into the hair shaft (whereas traditional conditioner is designed to be rinsed out). A good leave-in should offer a detangling agent and heat protection at the very least. So you’re applying the appropriate products, but are you applying the products appropriately? Many products are activated by the heat from the blow dryer, but if you’re not applying them properly then they can’t do their job. For instance, when applying a volumizing mousse, it should be applied at the root. Then, for best results, you should blow dry with a round brush. Just about every blow dryer comes equipped with one or two attachments, but very rarely do women use them. They’re included for a reason, ladies! Use them! The two most popular attachments are a narrow nozzle and a diffuser. The narrow nozzle, sometimes called a concentrator nozzle, is optimal for gaining control of the air flow during styling. Additionally, because it’s a narrower space for the air to escape from, the air naturally blows faster and stronger. If you’re someone who uses a brush with your blow dryer to create a sleek and shiny look, you would benefit by using this attachment. The diffuser attachment, on the other hand, is best meant for those who have naturally curly hair that they want to enhance. To use the diffuser, flip your head upside down, then gather a section of curls and place them onto the spikes of the attachment. Next, lift the blow dryer up until the handful of curls and attachment are touching your roots. Stay there for a few moments, then let the curls fall and move onto the next section. 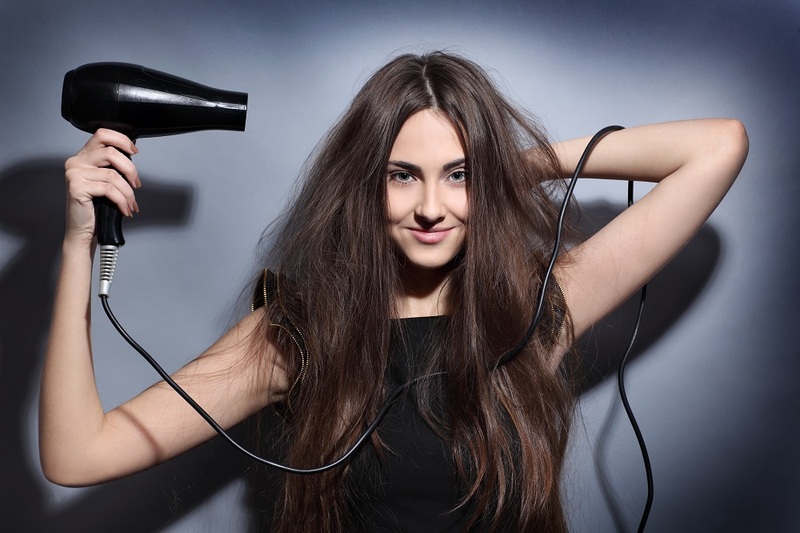 Now that you have all these tips, we wish you a happy blow drying session!